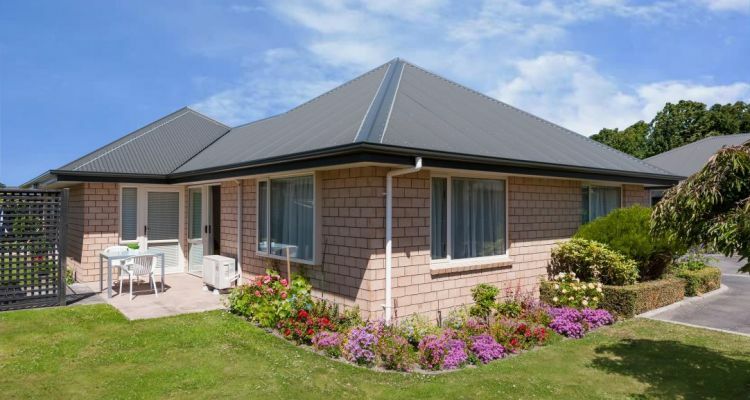 # 117 of 409 Retirement Villages in New Zealand. 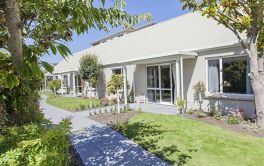 Palm Grove Retirement Village is another Oceania village, located in Shirley, Christchurch. It comprises of both villas and has resthome care onsite. 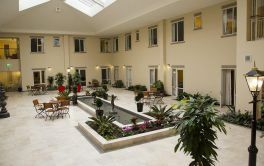 They have 32 Villas set around beautiful gardens and accommodate both rest home and hospital level of care in an 85 bed residential home. Located close to The Palms Shopping Mall it is an ideal location. 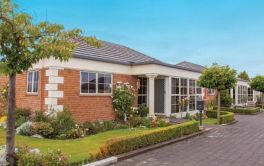 Palm Grove Retirement Village is also near the Shirley Golf Course and the Home Base shopping centre is 10 minutes walk away. There is a hotel next door and a bus stop at the gate with some local shops nearby. × Have you visited this facility? Help others who are looking for a place by posting a review on PALM GROVE RETIREMENT VILLAGE or review a different facility now. Help available in an emergency. Independent living in villas. Activities planner available when desired. Lose 25% of capital if vacating unit. Would like a bath as well as a shower. Visitor parking area rather small. Appreciate heat pump which I didn't have in old residence. I came here eleven years ago to be independent and have succeeded. The staff are excellent. Like living in my own home. Looking after myself but with company if I get lonely. Close to Palms Shopping. Close to bus into city. Can't be built out. Have to buy our own light bulbs. Can't have van for our monthly lunch out. Always traffic. Good size for a retirement village. Close to the Palms shopping mall. Close to most professional services. Transport 100 meters away. Close to where I grew up and lived. Manager does not consult our 'contract to live here' before making changes. Also a walk around the complex's outer lying parts by the manager help to keep standards higher. Location in suburb. Lay out of Villas. Fellow villagers in a caring community. Spend time outside of the office - among staff and residents to be familiar with all aspects of the operation. The other independent residents negotiated power discount passed on. Fee includes Rates, Villa insurance, garden maintenance - lawn cutting etc. No Villa maintain costs. Very poor communication. Delays in response to requests. Security. Companionship. Nursing backup in case of emergency.